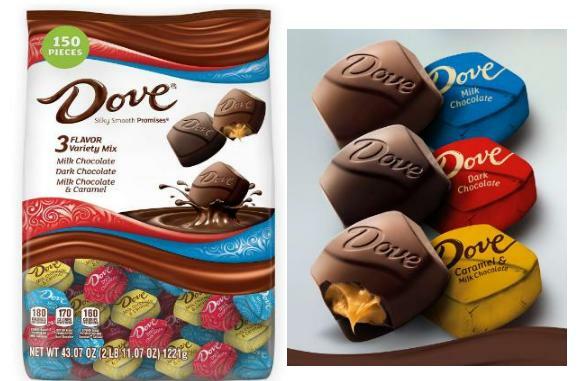 DOVE PROMISES Variety Mix Chocolate Candy, 150-Piece Bag – Only $11.55! The best part about this time of year is all the chocolate! Right now, Amazon has DOVE PROMISES Variety Mix Chocolate Candy, 150-Piece Bag for only $11.55! Just make sure to clip the 15% off coupon found under the price. Keep in mind, Amazon pricing can change at any time! Don’t wait to purchase this deal or it might be gone when you come back!